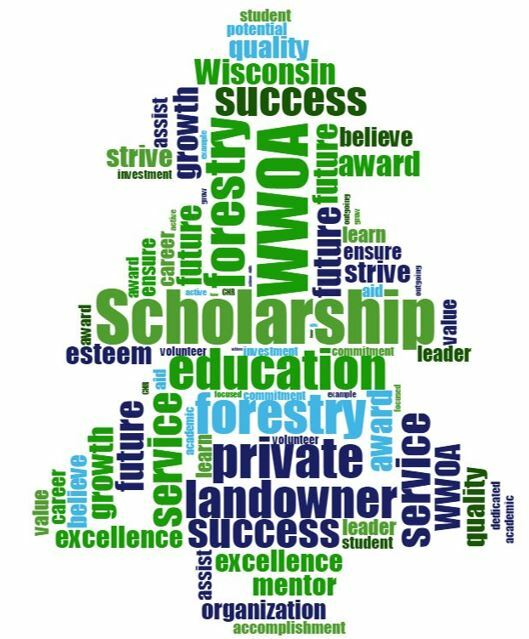 Established in 2017 by a very charitable and anonymous WWOA member, the Wisconsin Woodland Owners Association Forestry Leadership Scholarship aims to carry forward WWOA’s educational mission in a partnership with the forestry program at the University of Wisconsin-Stevens Point. 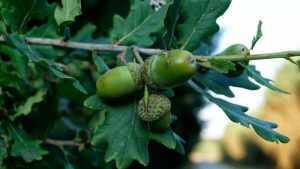 Our members have joined this cause with the interest of educating future generations on the value of sustainable forestry and ensuring private woodland owners will always have access to well-trained foresters. With a passion for sustainable forest management, WWOA’s mission, since 1979, is to ensure that future generations will be able to enjoy the beauty and utility of the woodlands. 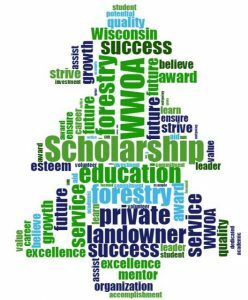 WWOA works to bridge the gap between private woodland owners and natural resources professionals by offering year-round educational opportunities and promoting the value of sustainable forestry throughout the state of Wisconsin. Visit the donations page of our website to make a donation to the fund, online. Be sure to specify in your payment notes that the donation is for the scholarship fund. If you prefer to donate using a check, please send us a note expressing the donation should go to the scholarship fund, along with a check payable to WWOA. Mail to WWOA, PO Box 285, Stevens Point, WI 54481. The Scholarship application period is November 1, 2019 – January 1, 2020. Find the ONLINE APPLICATION, here, or visit the University of Wisconsin-Stevens Point Academic and Career Advising Center, located in the Trainer Natural Resources Building, Room 122 to pick up a hard copy. Must be received or postmarked between November 1 – January 1. Contact the WWOA Office at 715-346-4798 or wwoa@uwsp.edu. 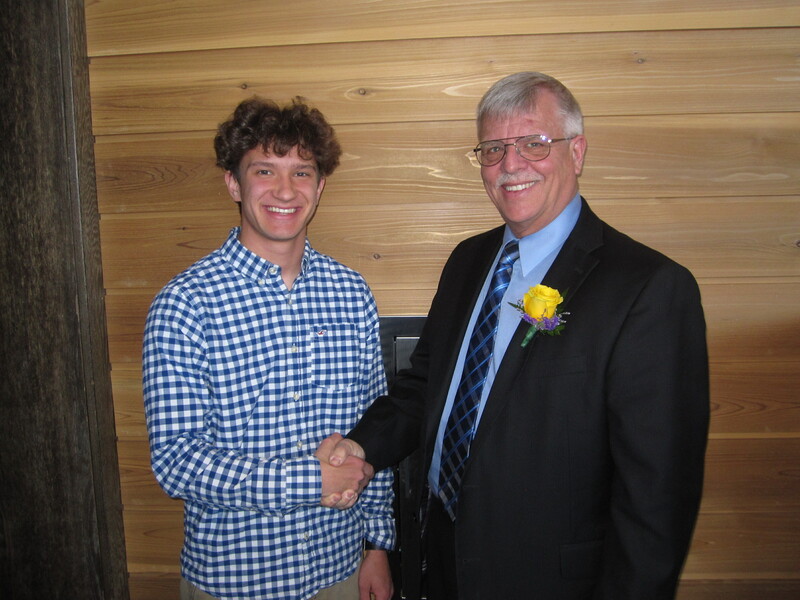 WWOA is excited to announce the first winner of the recently established Forestry Leader Scholarship! Congratulations are to UW-Stevens Point (UWSP) junior Travis Wollenberg. Travis is a forest management major that plans to graduate in May 2019 with a degree in Forest Management. Hailing from the town of Navarino, Wisconsin, it was only natural that Travis grew up with a love of the forest. The town’s small size meant that time among the trees was an unavoidable way to pass the days. His family’s 45 acres provided the ideal backdrop for exploring and developing his appreciation of the natural world. Some of his fondest memories on the land include days spent cutting firewood with his dad- a task that brings the satisfaction that can only be felt after accomplishing a hard day’s work. Before making trees horizontal for firewood, Travis also enjoys the adventure they provide while vertical. He would much rather climb a tree 80 feet up for thrills than find himself on a rollercoaster, preferring the sturdy architecture nature has fine-tuned over time versus something manmade. Having spent so much time in nature, it is not surprising that Travis ended up in the College of Natural Resources. Nevertheless, the day that affirmed to Travis he had made the right decision to pursue forestry was not special by any means- it was just a regular day of class. However, being out in the field learning how to identify different tree species during Dendrology (the scientific study of trees and other woody plants) lab resonated with him; he could happily see himself doing this for years to come. Though classes are still shaping his interests and plans for after graduation, he currently has his sights set on something dealing with rural forest management or wood utilization and procurement. Classes and being a member of both the UWSP Cross County and Track and Field teams keep Travis’s schedule packed during the school year. In some of the time he does have free, he participates in the UWSP student chapter of Society of American Foresters. Additionally, this last year he was invited to be part of Phi Kappa Phi, an honor society on campus and reflection of the dedication Travis puts towards his grades. Keeping busy outside of class is nothing new for Travis. In high school he was selected to participate in Badger Boys State, an opportunity that allowed him to work on his public speaking. Additionally, he participated in Explorer Posts with the Shawano County Police Department for 4 years. Through the program he was able to tag bears, learn more about the law enforcement profession, and interact with the community at service events. PHOTO CAPTION: On Friday, April 6 Travis was recognized, along with other scholarship recipients and award winners, at UWSP’s annual College of Natural Resources Celebration Evening. WWOA president, Steve Ring congratulates Travis on his accomplishment.